Avnet Silica announced a collaboration with Arkessa, a leading Machine-to-Machine (M2M) managed services provider, to deliver connectivity services for reprogrammable SIM products that will speed time-to-market for OEMs and enterprises that are developing and deploying IoT based applications. Avnet Silica’s new eUICC (embedded Universal Integrated Circuit Card) solution, based on the Avnet Global IoT SM-SR (Subscription Management Secure Routing), will transform how OEMs go to market with connected products and how enterprises deliver IoT services around the world. The eUICC solution delivers product future-proofing capability by enabling IoT application solution providers to easily change mobile network operators (MNOs) without having to manually visit or recall IoT end devices that are already deployed in the field. The partnership with Arkessa will enable default global roaming connectivity, combined with the ability to switch MNO service providers, and create a localised connectivity strategy that also works globally. By putting control and flexibility directly into the hands of the enterprise, remote SIM provisioning and network switching capability will have a profound impact on enterprise IoT deployment. Devices and services can be deployed internationally and then localised once in the field. For example, SIM profiles can be updated over-the-air (OTA) to satisfy new business rules or to take advantage of commercial or technical advances in new and emerging cellular technologies, such as LTE Cat M and 5G. 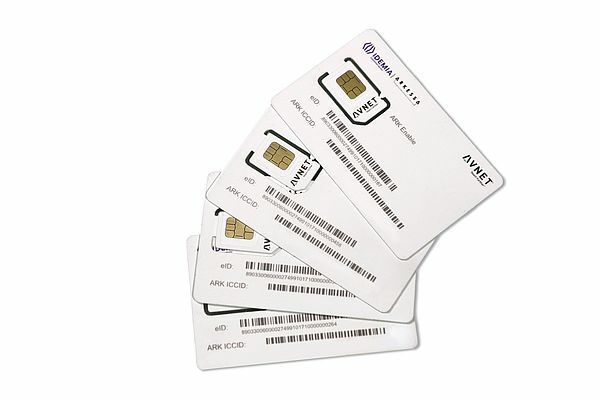 Specifically, Arkessa and Avnet Silica will collaborate to provide eUICC managed services on MFF2 (eSIM) and 2FF/3FF removable SIM form factors. Arkessa’s global multi-network MVNO platform delivers managed connectivity services including global roaming, localised MNO profiles, security and subscription management services.